A teenage boy has been arrested and accused of fatally shooting another teenage boy on a street in Anchorage's Mountain View neighborhood Friday, an episode that charging documents describe as a street fight motivated by the young shooter's self-proclaimed affiliation with a gang. Luimariamofoa Polu, 16, has been charged as an adult with first-degree murder. Michael Marquez, 19, was charged with assault and evidence tampering. Marquez is accused of throwing punches and taking the gun from Polu after the shooting. The victim was identified Saturday night as 15-year-old Raynaldo Khotesouvan. In a GoFundMe page set up earlier in the day, Khotesouvan was described as a "sweet and caring brother and friend, loved by many and taken too soon." He was a freshman at East Anchorage High School, played on the basketball team and liked fishing, bike rides and sports, the page said. The entire incident was captured on a homeowner's surveillance camera, police said. Charging documents say Polu and Marquez admitted their role in the shooting to police detectives. Polu told detectives the victim was a stranger, but Polu believed him to be a member of a rival street gang. Word of the shooting came as police were investigating an apparently unrelated homicide in Mountain View, just a few blocks away. Police found the body of a woman on the floor of an apartment on the 600 block of North Hoyt Street with a gunshot wound to her upper body. Though the initial call to police reported an accidental shooting, the circumstances were suspicious, according to Anchorage police spokesman MJ Thim. The victim was identified late Saturday afternoon as Brittany Sparks, 31. 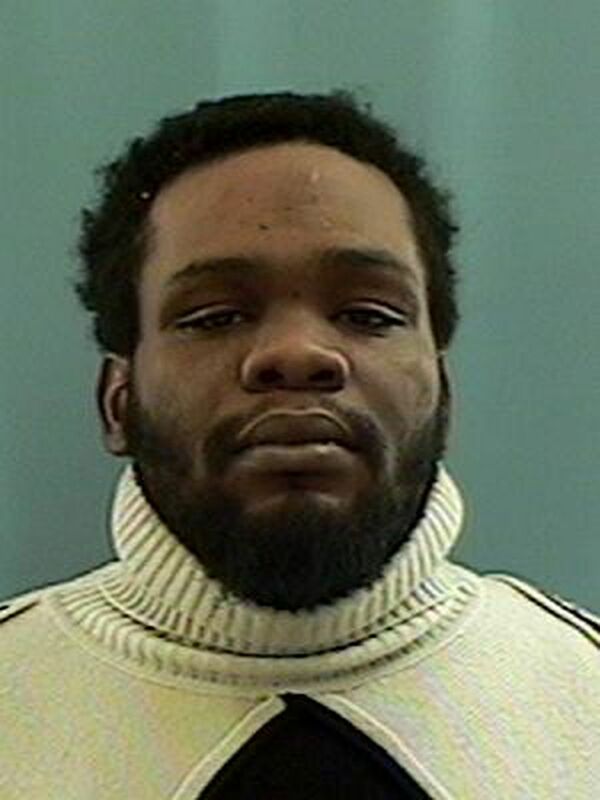 Police were looking for Clint Registe, 36, described as a "person of interest" in that case Saturday, but had not yet made an arrest or named any suspects. No further information was immediately available in the case. The burst of violence rattled neighbors and community advocates in Mountain View and added to already mounting calls for more action on crime. "This was just everyday kids in the street, chipping teeth," said Assistant District Attorney Jay Fayette. "And it escalates, it turns into a couple people throwing punches. "And one young man ends it at the point of a gun." At 6:30 p.m. Friday, someone called police to report gunshots in the area of the 500 block of North Bliss Street. Officers arrived to find Khotesouvan lying in the middle of the street. The boy had gunshot wounds to his upper body. He was dead. In the GoFundMe page, family members said Khotesouvan was walking to the gas station with his younger brother at the time of the shooting. Witnesses told police that a verbal argument between two groups of young men escalated into a fistfight. The shooter's group had come out of a house on the street. While police were talking to witnesses, Marquez approached a police detective. He said: "You need to speak with me, I am involved in this." He told the detective that the shooter's getaway vehicle was at an apartment building in Government Hill, and said his girlfriend was the driver. At the police station, Marquez told police that his friend, whom he called "Lu," had been at the Bliss Street house in an outside stairwell when they verbally confronted a group of "Asian kids" as they walked past the house on the street. Marquez said "Lu" and the victim were the main people verbally taunting each other. In the street, the confrontation turned physical, Marquez told police. Then Marquez lied, according to Fayette. He claimed no one in the group was armed and that he had not touched a handgun that night. He also claimed he had not seen actual shots fired. Detectives were left with the impression that one of the kids in the other group was the shooter, and may have shot their own companion by mistake, Fayette wrote in the charging document. But police confronted Marquez with a homeowner's security footage. The shooting happened on a warm, sunny afternoon. The security video was very clear, Fayette said. The video depicts Marquez's group approaching a group of Asian boys and "apparently provoking a fistfight in the street," Fayette wrote. No one in the victim's group displayed visible weapons, Fayette wrote. The video showed Marquez punching two of the boys. At one point, a young man in a red shirt approached from behind Marquez, pointing a handgun with his right hand. "It is at that point or shortly thereafter that police believe the fatal shots were fired by this man in the red shirt," Fayette wrote. After the shooting Marquez took the handgun and ran away, the video showed. Speaking to detectives, Marquez identified himself in the security video. He said Polu was the young man in the red shirt. He said repeatedly that he did not know the victim and that they were strangers. Marquez eventually admitted to detectives that "Lu" had a handgun the entire time, according to Fayette. He also said he had handled the gun before and after the shooting. He told detectives the group went to his house in Government Hill after the shooting. The gun was in a common laundry area in the apartment complex, he told police. Police later went to the building. The officers found a .45-caliber semiautomatic handgun and ammunition. The police also found a red shirt in Marquez's apartment. It was the one Polu was believed to be wearing at the time of the shooting, according to Fayette. Marquez picked Polu out of a six-person photo lineup presented by police. About 4:30 a.m. Saturday, offices arrested Polu without incident at a home on the 700 block of North Flower Street. Polu was brought to police headquarters. He waived his right to remain silent and to have his parents present, according to Fayette. He gave a statement to police detectives, admitting his role as the shooter. He said the shooting was related to gang conflict. He told police he was a "Blood," a well-known street gang founded in California that is identified with the color red. Polu claimed he believed the shooting victim, whose name he didn't know, was a "Crip," another California gang known historically for its rivalry with the Bloods. Polu's red shirt signaled Blood affiliation to police, Fayette wrote. Polu said he'd never seen the victim before that day. He claimed the victim "disrespected him" on the street. He said he had taken the handgun from the house on North Bliss Street and exchanged it with Marquez as the confrontation with the other group began. Polu said he thought the victim may have had a weapon concealed on his waistline, but that he never actually saw a gun or any other weapon on members of the Asian boys' group, Fayette worte. Polu told police he shot the victim several times, the charges say. He also said he changed clothes. He said he left the red shirt in the Government Hill apartment building, where police found it early Saturday morning. Both were arraigned Saturday afternoon in Anchorage jail court. Polu was being held on a total of $750,000 bail, consisting of cash and corporate bond. Marquez was being held on $6,000 bail, between cash and corporate bond. 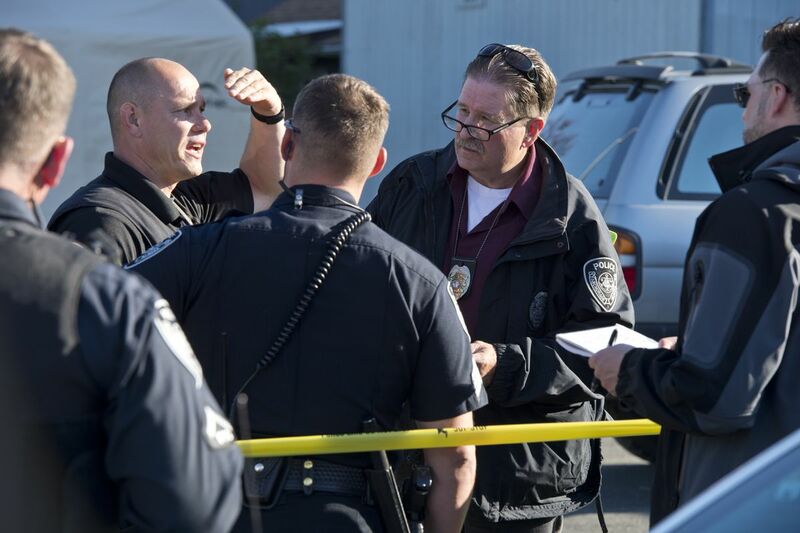 Tasha Hotch, a member of the Mountain View Community Council, said she lives just three blocks away from where the teenage boy was shot and killed. She said she got the alert from police about it, but did not go close to the scene — she worries it will be someone she knows. "It's really difficult to see these things happen, and, what can we do to prevent these things?" Hotch said. She said council members were already discussing ways to help neighbors feel more proactive about preventing crime. In the future, that may involve a "solutions forum" with police, said the community council president, Jasmin Smith. Hotch said the immediate ideas involve educating neighbors on being good witnesses and calling 911 or the non-emergency line, 311. She said she'd like to see a phone tree for a more robust neighborhood watch. The neighborhood is also always looking for community patrol volunteers, she said. No matter what, she said, there's a consensus that people want to do more to prevent crime, from shootings to petty theft. "That's one of the reasons why I love this neighborhood," Hotch said. "People are not wanting to just sit back." Correction: A previous version of this story misspelled Raynaldo Khotesouvan.